The city of St. Helens was not selected to receive a federal grant that would have been used to help the city invest in improvements to its waterfront to help secure redevelopment dollars. A list of grant recipients for the U.S. Department of Transportation's BUILD Transportation Discretionary Grants program for 2018 was published Tuesday, Dec. 11, and St. Helens was not included. 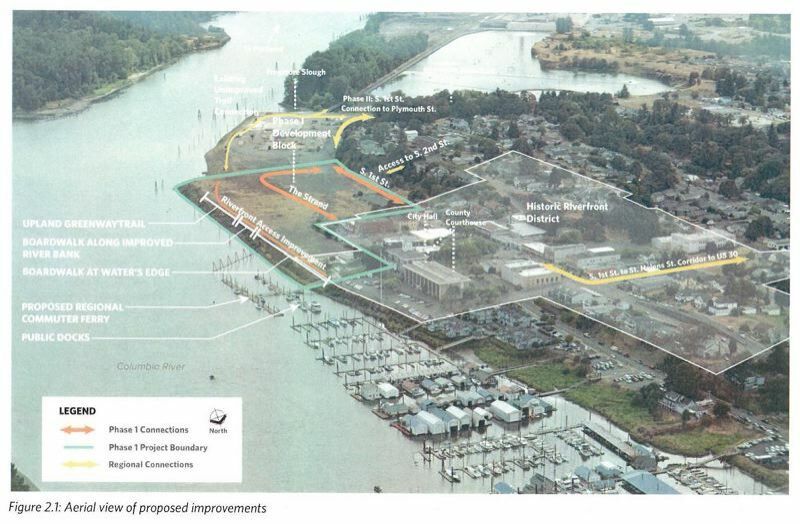 The city had submitted a request for $15 million in its proposal titled "St. Helens Riverfront: Restoring Access, Economy, and the Environment." The funding would have been used to help establishing transportation access and capitalize on private investment by creating a waterfront boardwalk and walking trail with a connecting street grid on the 22 acres of city-owned property, which was a former mill site, previous reporting on the grant application shows. Securing the grant funding would have been a catalyst for Tokola Properties, a private developer that expressed interest in developing a 100-unit boutique hotel on a portion of the city's waterfront land, to invest millions of dollars on the property. It's not yet clear what the next steps are for the developer, but the city has been working with Dwight Unti, president of Tokola, for some time and entered into an exclusive negotiating agreement in January this year. City Administrator John Walsh and Unti were not immediately available for comment. Two other projects in Oregon were selected for grants including a Coos Bay Rail Line Bridge Rehabilitation project that received $20 million and a Columbia River Barge Terminal Rail Access in Morrow County that received nearly $26 million.